Plus it count's towards any baby rewards you may have! There is also an Ibotta Rebate for $1.50 wyb Pampers Cruisers, bringing your total down to $15.44 each wyb 1 box of Pampers Cruisers and 1 box of Easy Ups! Huggies Deal There are no prices listed in the ad, so I will update if any items are on sale. 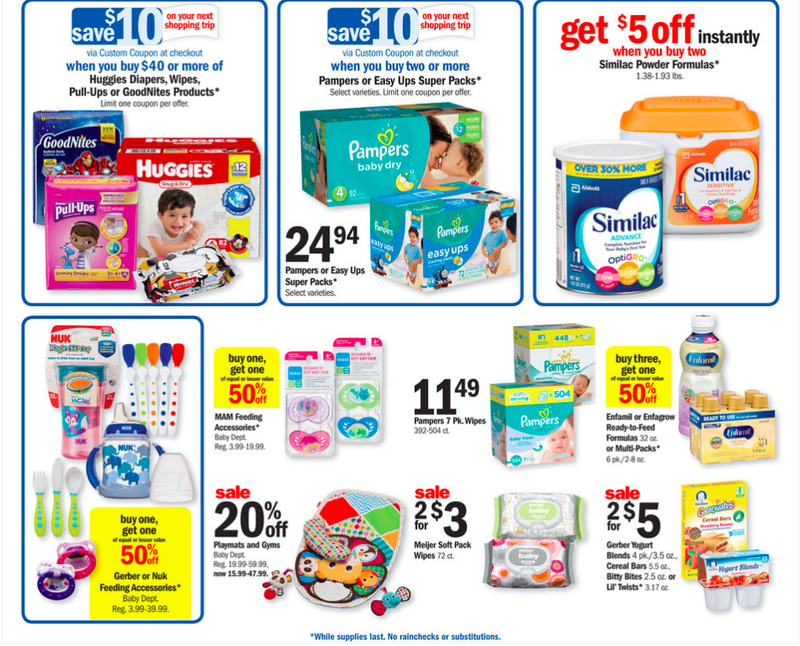 Save $10 on your next shopping trip via Custom Coupon at checkout wyb buy $40 or more of Huggies Diapers, Wipes, Pull-Ups or GoodNites Products. Final Cost: $17.62 for all 6 items!